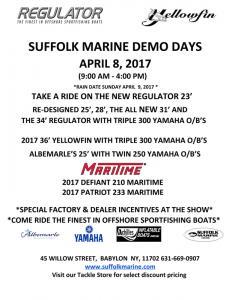 Suffolk Marine will be hosting their open house and demo days April 8, 2017 9am-4pm. Check out the latest models from Regulator, Albemarle, Maritime and Achilles. 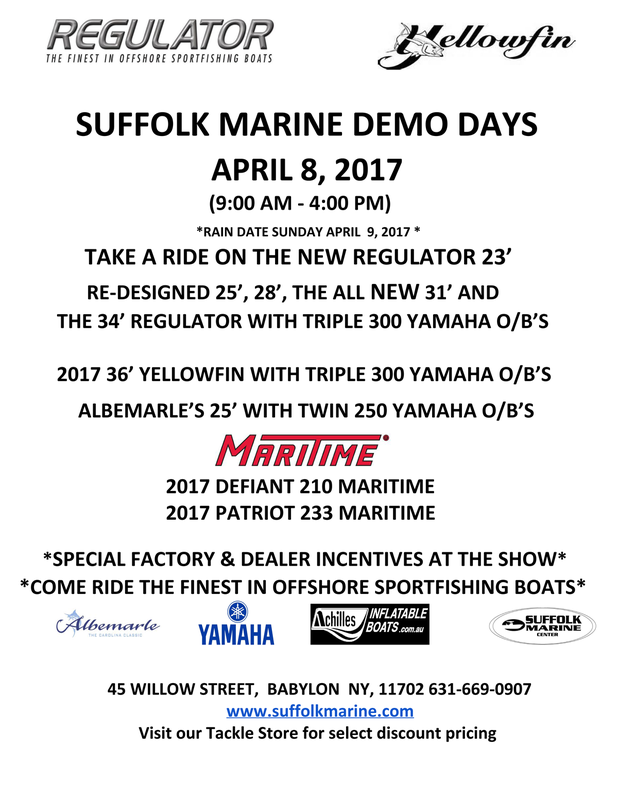 Suffolk Marine also has a huge inventory of Yamaha outboards if you’re looking to re-power. Call 631.669.0907 for more info.